The Coca-Cola Company announced on Feb. 8, 2019, that they would be launching the first new flavor of their trademark beverage in over a decade. Orange Vanilla Coke Zero Sugar and Orange Vanilla Coke will be introduced to the public across the United States on February 25. The move follows the new Diet Coke flavors released in 2018 including Feisty Cherry, Twisted Mango, Zesty Blood Orange, and Ginger Lime. On January 16, Coke announced Diet Coke Blueberry Acai and Diet Coke Strawberry Guava would be released. Soda sales have been declining across America for the past decade as consumers have been choosing healthier options such as flavored seltzer and bottled water. 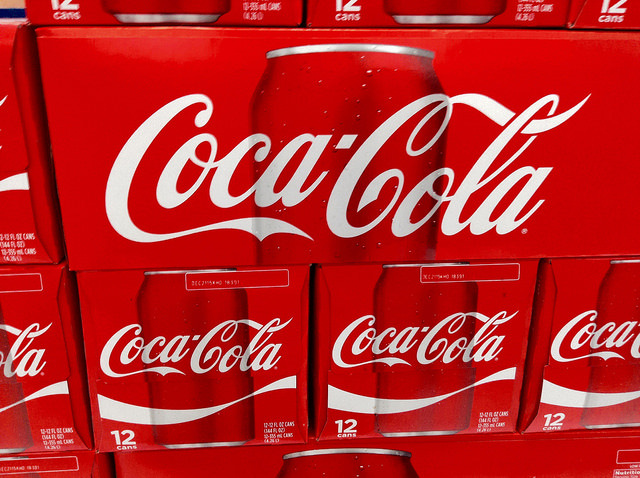 However, the demand for Coke Zero Sugar and Diet Coke grew in the third quarter in 2018, rising by two percent. The Coca-Cola Company started to test two new flavors of the soda after Coke Zero Sugar replaced the United States Coke Zero. Coca-Cola Zero Sugar has sold well in Latin America, the Middle East, and Europe. Zero Sugar tasted more like the original beverage. Like Coke Zero, Zero Sugar is sweetened with acesulfame and aspartame and was first introduced in the United Kingdom. Once the soda company decided to add a new flavor to their repertoire, they began to look to the international market. Under consideration were ginger, lemon, and raspberry which sold well in Asia. In 2018, Coke Orange No Sugar was released to the public in Australia, and Orange Vanilla Coke was available last summer in Canada as a limited edition. The Orange Vanilla flavor was taste tested in the American Market, and it performed well. Cherry dominates the flavored cola market, and consumers found Orange Vanilla to be different and unique. More important, they said they would purchase this beverage in addition to the Coke they usually bought instead of replacing it. Consumers also found that even though the thought the flavor was different, they still felt as if it was familiar. In November 2017, the soda company launched two new specialty flavors to their portfolio. California Raspberry and Georgia Peach use cane sugar as their sweetener. Classic Coke and Orange Vanilla’s ingredients include high fructose corn syrup. New flavors of the soda have not always been accepted. In 1985, when the company released New Coke and stopped producing the original recipe, the public revolted. Vanilla Coke was introduced in 2002 and did not fair well with the public during the initial release. The soda was re-released in 2007 and performed better. The company also experimented with a coffee-flavor soda, and Black Cherry Vanilla. They recently introduced an alcoholic version of the soda in Japan. Furthermore, within the last year, the company has been considering a collaboration with Aurora Cannabis to make a marijuana-infused soda. The cannabis soda is still in the early stages. The product will contain CBD and no THC. The soda will focus on helping to ease cramping, pain, and inflammation. Orange Vanilla Coke, diet and regular, will be sold in 20-ounce bottles and 12-ounce cans. The cans will be available in limited edition through May 2019. An intensive marketing campaign will begin within the month across social media and television. It will also be featured prominently around NCAA March Madness. 3 Responses to "Coke Launches First New Flavor in Over 10 Years"
I have read a few just right stuff here. Definitely value bookmarking for revisiting. I wonder how much effort you put to make such a excellent informative site. Get on with the CBD healthy drink. Flavor it without all the crap.